At SPB, we like to write longer reviews. Reviews that go into depth and give you a reason to read and think about a record instead of just hitting Spotify or Bandcamp. The catch, of course, is that some records are really short. It might take you as long to read this thing as it would to listen to Character Actor’s 4-song, 7-minute EP. That’s hyperbole…unless I start writing some unnecessarily dense David Foster Wallace sentences. Anyway, as I mentioned, this is a 4-song 7”. A good place to start is their song titles: “Out of Hands,” “What I Learned from Righteous Cowboys,” “On Rubicon Beach,” and “72 Paperbacks.” Each song title gives details and tells a little story. It’s not a mantra or an anthem, but the start of an idea. 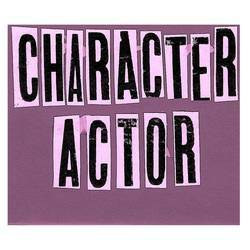 On this EP, Character Actor are storytellers and those stories are worth listening to from start to finish. The songs aren’t predictable or stale: they grow and shift, with nuanced progressions and drum fills that turn in new directions whenever the melody begins to feel a little predictable. It’s music that you can sing-along to, certainly not on the first listen, but probably around the tenth time. Musically speaking the band fit into that niche of the punk scene that grew up on the Nuggets compilations. The music is familiar in style with a classic shape behind it, but it’s thick: there’s a depth from the interplay between instruments rather than stacking sounds atop one another, with soothing sung vocals from Jeff Schroeck pulling it all together. The melodies really pull the songs together and act as the definitive element with fuzzy production tones that preserve its heart. Oh, and by the way, the band features members of The Ergs!, Night Birds, and Black Wine. Posted Jan. 14, 2019, 10:34 p.m.